My name is Philip Crouch, and I live in Tasmania, Australia. For over 45 years I have passionately followed an inspirational interest in pathways to conscious spiritual awareness. Now, with this web site I have intentionally attempted to reflect my journey of spiritual transitions, transformative experiences, research and resources which I have gathered in search of the truth (or truths - what is real for one person may not be another's reality). Spiritually, as one reflects on changes due to aging, and the eventual transition from this place, pathways of various kinds which lead me closer to conscious spiritual awareness provide a powerful energy for wholistic reflections on my journey so far. ​In the spirit of sharing these pathways, I have collated a set of resources (by no means exhaustive! ), activities and points for discussion, and I warmly welcome your comments, thoughts, connection (via the Contact page), questions and contributions. ​To encourage seekers of conscious spiritual awareness, regardless of life experience, age or cultural belief, to explore potential resources in search of the real self. To provide a service to the community by offering activities, including information sessions, workshops and talks, and information on how to establish a home circle group. Importantly, to share with others any wisdom that is found along the pathways. What is conscious spiritual awareness? ​When we consciously transform individual euphoric highs or solemn lows of life and recognise the spiritual growth that is occurring, we move closer to understanding and experiencing a greater spiritual connection to a higher self, universal mind, great spirit, or God (whatever this means to you). ​You can read more about Conscious Eldering here. An important aspect of the journey is the sharing with others of our experiences of awareness, of our awakenings and our knowledge and wisdom, as I believe we are all universal spiritual brothers and sisters. The Universal Spiritual Brother&Sisterhood encapsulates this idea. See the Activities page for more about USB. While wisdom is not synonymous with age alone, many of us travelling in the second half of life potentially become our own teachers and wisdom makers. We have an ability to recognise our own impending mortality and the eventual pathway returning us to the spiritual realms following our transition from this place. Depending on your age, cultural or religious beliefs, many pathways may, singularly or collectively, guide you on your journey towards conscious spiritual awareness. These pathways can include: shamanic experiences, mindful meditation, devotional practices, psychic or spiritual experiences, transformational events, creative ageing, dreams, paranormal occurrences and the exploration of consciousness. If this journey towards awareness has not begun or seems difficult, consider the perceived or actual barriers that may be preventing this experience; for example, maintaining an "-ism" no longer relevant in your life, dependence on a singular pathway or on a self-proclaimed teacher-guru or spiritual counsellor. Why should I even think about these areas? What might be the benefits? 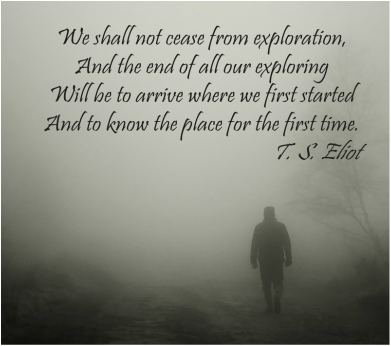 How do I go about creating a journey of exploration? Where to start on the website? The Pathways page presents some thoughts on why one might embark on a spiritual pathway and some opportunities for development of your understanding, knowledge and experiences which may assist in conscious spiritual awareness. The Resource Centre provides an overview of how the resources are organised on the site. The Resources Menu (on the left hand side of most pages on the site) will link you directly to a list of books, videos, articles, websites and courses which you may find useful. The Activities page presents information about a number of different workshops, discussion groups and courses which may assist you along your pathway. There is a link in the Resources Menu to the latest Pathways Bulletin, distributed quarterly. Each Pathways Bulletin contains information about newly discovered resources, conferences, workshops and seminars, book reviews and more. If you would like to receive the Bulletin by email, enter your email address in the "Subscribe" box on the Pathways Bulletin page. Contact Philip if you would like to make a contribution.